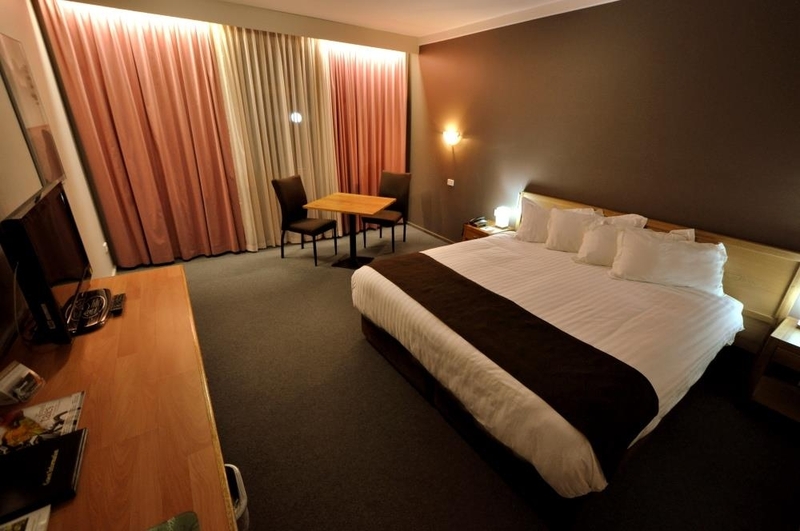 The Hospitality Kalgoorlie, SureStay Collection by Best Western is ideally located in the center of Kalgoorlie. Come and experience our hotel near the major tourist attractions. Best price guaranteed and exclusive deals. This Kalgoorlie, Western Australia hotel offers great customer service and comfortable accommodations for an affordable price. Escape to the history and beauty of Western Australia at the Hospitality Kalgoorlie, SureStay Collection by Best Western. 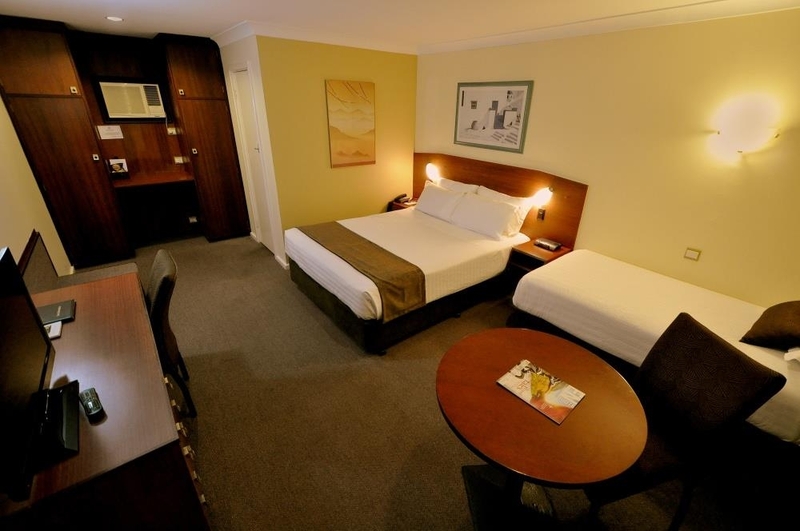 This Kalgoorlie hotel is situated in the heart of the historic mining town and proudly offers 54 comfortably-appointed guest rooms for an affordable price. 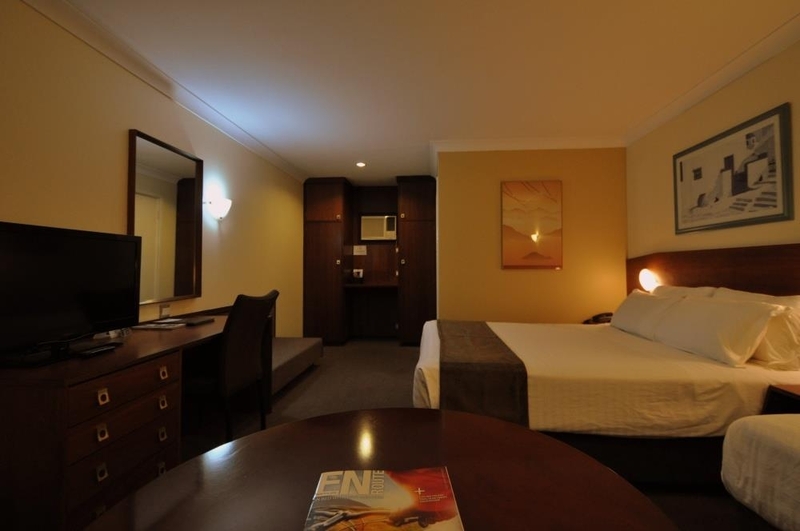 Each room features air conditioning and free Foxtel cable television. 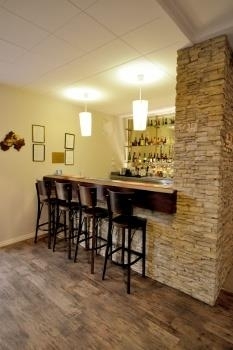 Guests will enjoy dining at the onsite restaurant or grabbing a refreshing cocktail at the hotel's lounge. Enjoy a day in the sun at the outdoor swimming pool before cooking out on the BBQ facility. Pets are welcome! The Hospitality Kalgoorlie, SureStay Collection by Best Western is close to a variety of outdoor activities including golf, tennis and more. Soak up the history of the gold rush at the Miners Hall of Fame or spend an afternoon on the Golden Quest Discovery Trail. Racing fans will love the hotel's close proximity to the local race track. Go see the Super Pit Lookout or visit the Western Australia Museum. The friendly, helpful staff at the Hospitality Kalgoorlie, SureStay Collection by Best Western are ready to ensure a fun-filled memorable stay in Kalgoorlie, Western Australia. Make a reservation today and save! Enjoy your stay. Stayed here for 2 nights. The room was of sufficient size, clean and comfortable. 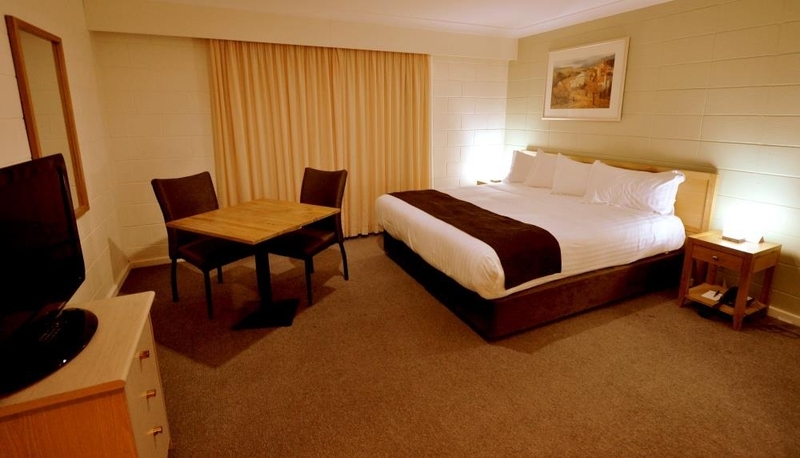 At affordable prices this motel is one of the better establishments available in Kalgoorlie. 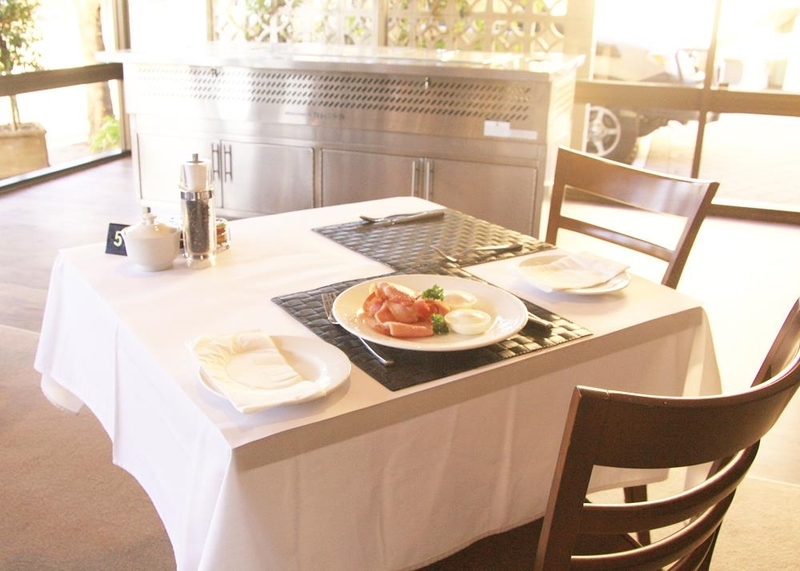 A restaurant is on-site and a clean sparkling swimming pool is available for guests. The town centre is a short distance away and is walkable. Would return. Great place to stay. The staff on reception were freindly and very joyful. The rooms very clean and tidy. They also had all the things you.need for a stay. Lots of places to eat in the town and the town was really nice to explore. I would.stay here again if in the area and and.also.australia. Hi stevew359, Wow thanks so much for this epic review. We are so delighted to hear that you enjoyed your time with us. So great to hear that you loved our staff and found the room nice and comfortable. Come back soon! "They have king size beds like we sleep in at home." Looked for king size beds in Kalgoorlie & this place came up. On our app it was $263 for 2 nights (cheaper with our discount). We rang to find out to book direct & was $330. We chose to book online to get the better price. We arrived about 6pm & the receptionist was helpful. Got to our room & yes it was a king size bed. We went to plug in our mobiles to recharge .. only outlets were under the aircon or in the bathroom. My hubby has sleep apnoea & couldn't use his machine to help him sleep. Watched some tv but the remote only went down in channels. The bathroom was small & the toilet is low (had to hold the flush button for 5 seconds for it to flysh properly) Bed was comfortable!! Room 27 wasn't the best but maybe the last King Size room clean as when my hubby rang there was only one left but online there was 2 and there was no one next to us both nights. Wouldn't stay here again. 6 months from my last stay I am still very happy with this motel. I stayed for 3 nites again and for the money the Best Western is excellent value and I've stayed at many of the others in Kalgoorlie. The only negatives this time was the wifi , it was very weak , I gave up trying to use it the second nite and room service...I rang through to place an order 8.15pm one nite only to be told that last orders are taken at 7.30pm ? ?...I couldn't find any mention of this in the room compendium. My room was well cleaned each day , I could still smell the disinfectant after returning on one day. All up it was another comfortable stay ! Hi BundyRed, So great to have you back again. Sorry about the Wifi signal being weak. It can be a bit touch and go. Hope to see you back again in another 6 months. "Overall very good, just let down by two small points"
Our room was very comfortable and good value. The location is good, being close to the city. The restaurant food is good too, a bonus. Although it is quite roomy it could have done with more power points and the loo paper was some of the worst we have come across! However, overall a great place to stay for a visit to Kal. Stayed for a night at the best western and had a good experience. Room was neat and tidy, bathroom a little old but did the job. Plenty of space if you had more than one person. Location is good. Would stay here again if i was in town. Hi TheAshAdvisor, Thanks for your review. We are happy that you enjoyed your stay with us. Come back again to visit us soon. "Bit tired but clean, comfortable and central"
Hi Jennifer, Thanks so much for your review. We are so happy you enjoyed your time with us and that you found the room large and clean. Hope to see you again. Hi Porka54, Thanks for your review. We are so pleased that you found our staff helpful and friendly and the room clean and comfortable. Loved your tips to other guests too! Stayed for 3 nites this week whilst on business in Kalgoorlie. Was greeted by a very friendly receptionist upon arrival who explained everything beautifully. Room was neat , tidy and comfortable with a very comfy bed. My room had a extra single bed , table and chairs , flat screen tv with fox channels and the fridge had a mini bar. I got a pretty good nites sleep each nite with the usual tradie rising early to make a quick getaway. I found the walls to be quite thin though , first nite I could easily hear the neighbours telephone conversation. Bathroom was a little dated but the shower was excellent with good pressure and plenty of towels available. Had dinner in the restaurant one nite and the food was excellent. The Best Western is located at the bottom end of town , I was good to be able to get away early easy on my final day to head home. In summary this was a pleasant stay , check was just as equally friendly and I would definitely stay again . Hi BundyRed, Thanks for your review. We are delighted that you had such a great stay (despite the walls being so thin). We will look forward to seeing you again very soon. We booked direct with the Best Western and our room, as requested was lovely and quiet, as best it could be from other guests and road noise, in truth no problem with either.The accommodation had everything we could desire, excellent beds, good bathroom, not updated but spotlessly clean with lovely fluffy towels and shampoo etc, Also a face washer and shower cap, hair dryer. Tea & Coffee making facilities and no skimping on packets tea/coffee. Our room had table and 2 chairs, area for baggage storage, plenty of hangers in wardrobe, plus bar fridge with drinks for purchase. Free Wi Fi included. We just didn't want for anything more. We booked without actually seeing, and made the correct choice. 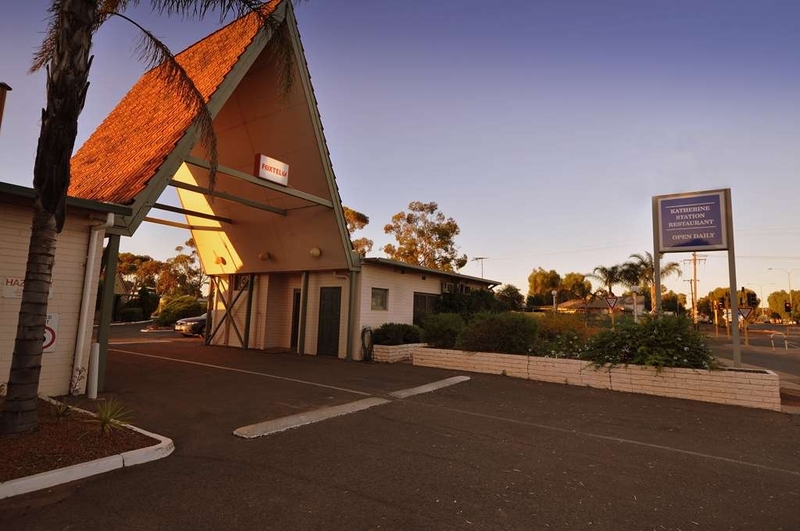 We have seen many motels/hotel since being in Kalgoorlie, 2 nights, and we would recommend everybody to first try to obtain accommodation here, you will not be disappointed. We are looking forward to our return for a night in a couple days after exploring the Goldfields further afield. Hi HenReeTess, Wow what a review. Thanks so much. We are delighted that you had such a great time and can not wait to see you again soon. "Will stay again, best bed in Kalgoorlie!" This place has the best beds in Kalgoorlie, as someone who can't sleep a lot due to chronic back pain, the beds at this place are so comfortable its easy to overlook some of the other little discomforts of the place and I would not hesitate to stay here again but would recommend you only stay here if you have a vehicle as its a fair walk to everything. I don't often give an excellent rating but this place deserves it. Pro's The beds, oh the beds Very roomy, great sized TV and decent selection of chanels Table and chairs and extra bed were good and used to spread out all my stuff The shower has amazing water pressure and very hot water Really nice towels and plenty of them Very stable and free fast WIFI Con's Tiny tea cups, no glasses, awkward kettle made it hard to fill in sink and having a glass would have assisted with this Bathroom is old and out dated with no space for shampoo etc in the shower meaning you have to reach out to the sink Lots of miners stay here which means you get woken at 5am by beeping vehicles reversing out, fortunately the bed was so comfy its easy to go back to sleep The sound of the water running in other rooms is very noisy, its that great water pressure that causes it and I was mindful to try and not use the taps late at night so as to not disturb other sleeping guest The usable power points are behind the TV and in the kitchenette area - neither which are near the bed if you want to charge your phone while you sleep This was not a con for me, worked in my favor but worth noting they don't service the rooms on public holidays. I did not have any meals at this place. Hi Gwenall, We are absolutely delighted with your 5 Star review and so pleased that you found the beds comfy with your condition. It is not pleasant to live with back pain and so it is such great feedback that you were able to relax. Noted about the tea cups and and the other cons. We are always looking to improve our services to our valued clients. An older motel but with good sized rooms that are clean and comfortable. Staff are friendly. Good restaurant for both breakfast and dinner. About 1 1/2 Km from centre of Town.Swimming pool was a bonus as it was very hot during our stay. Restaurant reviewed separately as Katherines. Hi Dowerinwa, Thanks so much for your review! We are so happy that you found our staff friendly and helpful and that you liked eating in the restaurant. Hope to see you back in Kalgoorlie soon. Friendly motel about a mile away from the centre Kalgoorlie. Our room was comfortable and the breakfast area was clean and had plenty of options for us to choose from. There is an option to have dinner at the motel but we chose to eat in the Town. Booked via Bookings.com, due to road closures, way out of our control, we lose money because we can't change our booking. Why I get if we didn't show, take part of our deposit, but no we lost the whole payment. Rang and explained why we couldn't make it, "Sorry you have a non-refundable booking" Even asked if we could change the date, again no fault of ours the road was closed due to rain, but still no. Really disappointed, and will not be using this hotel in the future, maybe a suggestion could of been, 'Yes we can change your booking but it will cost a little extra" Unforseen circumstances eg, the weather means too bad so sad. Spent 4 nights here and would have to say it was average. Pro's Large size room. Location is good but driveway access can be a bit hard when there is traffic. Cons Dated Very loud air con Fridge didn't work well I have stayed at other Best Westerns and enjoyed them but this one has some catching up to do! "A good clean resting spot"
Have stayed here a few times over the past few years. Most recently in November 2017. Nice clean rooms. Air conditioner and bathroom is a bit dated. Location is on the main drive in to Kalgoorlie from the Great Eastern Highway. I would stay here again as it offers a good quiet resting spot at reasonable prices. "You get what you're promised"
No frills motel. Uninteresting location but central. Breakfast is decent and served in a pleasant dining room. Bed is comfortable and room is clean. Noisy traffic in the area so light sleepers be warned! Wifi signal is weak with regular drop-outs. While the room was very clean and comfortable, the pillows are quite flat. I had a room near the lifts so it was very noisy. The room was also at the front of the building so there was lots of passing traffic, train noise and clock chimes. Ask for a room at the back! Rooms were excellent, lots of room, exceptionally clean and no smell of smoke at all. Lovely to rock up and have milk in the fridge to go for a cup of tea. cooked breakfast each day was excellent. lots of variety and large serves. Well done I was very impressed. We were desperate for a room on the day of the Kalgoorlie cup with a family of four the two room suite was all we could get. This was $345 for the night. Checked out after two nights to find our caravan repairs not completed. We moved to Rydges where for the same amount (with rydges membership discount -you can sign up on the spot) we got a two bedroom suite far far superior to the best western. Full sized fridge, two person spa, washing/dryer machine seperate huge living area. Best and western need to review their prices. Dear Shayster23 We are sorry that you did not find our hotel to meet your expectations on this occasion. We appreciate your feedback and we thank you for choosing to stay with us. Kindest regards from the team at Best Western Hospitality Inn Kalgoorlie. As with most Best Western properties , the rooms are fine - clean ,comfortable and reasonably priced. The location is problematic being as it is on a very busy road and adjacent to traffic lights -where slowing and accelerating trucks make considerable noise. The free internet computer in the lobby is hard to reach -with no chair or stool provided.What is not standard BW is to be told "check in is at 2pm with constant glances to the clock as if to reinforce the point "- it was 1210 pm and could have been handled so much better - I felt I should be grateful to get a room -not a good look ! It is about a 25-30 minute walk to the CBD so you need a car - but there is a local bus each hour on weekdays. The dining room looked inviting with crisp linen cloths. Had no intention of staying in a motel but met some other travellers who were booked in here so we decided to stay too and join them for dinner. The room was spotless and functional, linen crisp, bedding warm & mattress comfy. Bathroom perfectly fine but the decor is very dated. Who cares when you're used to camping? The hotel was fine, except for their mini bar prices. It would probably have been better received and the experience happier if my wife and I hadn't both been ill and exhausted from the drive across the Eyre. I would stay there again. "Comfortable 2 nights stay despite slow WiFi & thin wall"
Comfortable 2 nights stay despite slow WiFi & thin wall We were part of a group stay accompanying an international team of sports players in their first visit and game in Kalgoorlie. As most of the reviews have mentioned, the rooms are quite dated and in need of refreshing and renovation. However, the two night stays were comfortable enough, and the room was clean with a comfortable bed. There were just two issues to be mindful of: WiFi & thin walls. - We were given a room with an adjoining door, and we would hear everything next door, including their mobile phone alarms in the morning through the paperthin walls. - The free wifi are individually set up with personalised password so offered more security. However, as advised by the receptionist, the speed could slowed to a snail paced if many guests are logged on, and it took a long time to be connected intermittently throughout the two nights, even for emails downloading. Some positives: - Location is central, as it's located on the main Hannah Street in the town centre. - There was a nice outdoor pool which we didn't have a chance to use, and the motor style layout means a very easy access to the cars right outside our room. - The receptionist was very accommodating, and prepared all the room keys of our group, with a printout of the room allocation in advanced, a nice gesture that was appreciated from our late arrival, and rush to restaurant before they closed for dinner. Overall, a comfortable two night stay in Kalgoorlie Boulder. Receptionist was very friendly. The hotel is on the main drag and other main roads behind. We were at the back of the motel, so it was a little noisy. Rooms are a little dated and could do with a face lift. Although bed was comfy and that is the main thing. Was upgraded to an executive room - did not ask for it. No trouble with check in or check out. Staff very professional. The room is spotless though it is dated. The bed is super comfortable, the first time I slept in after nearly 2 weeks on the road. Everything the the room is in perfect working order. Our room is located near main street but I did not hear any trafic noise. Continental breakfast came with room, choices adequate. Had dinner in the restaurant, food very tasty, large portions. Our room may have been a bit tired but was clean, comfortable & spacious. Staff friendly & helpful. My wife loves a place with good quality towels & plenty of them. She was not disappointed. A short taxi or bus ride to the centre. The bus stop is about 75 yards away & one can take the scenic ride to Boulder or the town centre & across the road but a little further in the opposite direction one can ride the quick journey. Taxis can pick you up at the door & arrive very quickly. Good breakfasts available & a small bar. Definitely would stop here again. Overnighted last minute stop and I was not disappointed. The rooms are so comfortable, spacious and I wanted to stay longer. It has all the mods and cons. I found this room was perfect for a business trip and for a vacation if I decided. The receptionist was efficient and friendly so no complaints here. "Quirky Motel but pleasant stay and friendly staff"
We took the taxi from the train station since it was a bit far to walk. At first we were a little disappointed at this Best Western. From the street it looked old, way away from everything, and on the busy main road. However, this was a pleasant surprise. We got a room towards the back (#17) which made it real quiet. The staff were really friendly as well. We enjoyed our 2 night stay very much, even though the hotel reminded us ones from the 1950's/1960's. The room was very clean and the bed was great for a good night's sleep. One thing to note (see pictures). We did not have an issue, but we did see other people sitting in the chairs outside the windows smoking away - so hopefully you won't get a smoker sitting right outside your window. During the day we would walk into Kalgoorlie, which really wasn't a pretty walk but not that far (15-20 minutes or so). Compared to the prices downtown, this was a real value! We would stay here again. Clean crisp room and bathroom, restaraunt was pleasant. Thoroughly enjoyed the chilli snapper for dinner. 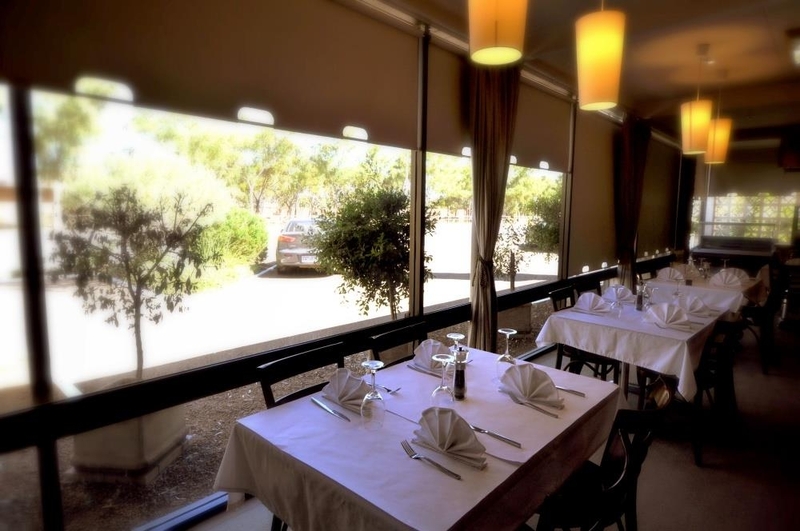 There is an expansive menu that offers a different soup, fish and pasta every day. The chefs know what they are doing and the waiters are knowledgeable. Check in was very simple and only took a few minutes. Breakfast starts at 6 so is good for travelling if you need to get out early like I did. Had a good stay for two nights. I was a walk in and had a strange a most confrontational greeting. I think she wanted me there but everything seemed a hassle as I didn't arrive at a convenient time. Obviously didn't want us to come in for dinner. You'll have to come in at 6 because it's a public holiday.... we went elsewhere. Toilet was odd, seemed to have an American bowl with an Australian cistern. Just didn't work properly unless you held the button down. Okay room but needed the cement block plastered. Tiles in bathroom were early 1970s. We needed to stay another night... again the gruff reception that this was an inconvenience. A comfortable stay and ideal for our needs. "A haven just outside the CBD"
It was a bit of a mission to find the entrance which required a U turn if coming from the CBD direction, but well worth it once arrived. Clean facilities, and friendly staff made this an enjoyable stay. I stayed here over one of Kalgoorlie's busiest weeks, the Diggers and Dealers conference when everything in town is booked out weeks in advance. The cost is huge per night and you have to guarantee a 4 night stay. I was here for business so work was paying but I have stayed at other places during this conference time in previous years and Hospitality is the worst. There is nothing hospitable about the service or rooms. Sure the bed is comfortable but that's about it. Thin walls where you can hear your neighbours all night, the manageress when asked a questions just couldn't be bothered about anything. When asked to book a taxi she pretty much refused and said it would take too long. I ended up getting a taxi drivers card and just called him directly when I needed a car. At breakfast they served the usually continental or cooked, they also had a coffee machine that was covered over and only served perculated coffee, that had seen better mornings. When I asked if I could have a proper coffee the manageress said she couldn't possibly have time to turn it on as there were too many people to serve. Over that busy period, employ another set of hands in the morning to man the coffee machine and charged your guests $4 a coffee and you will pay for the extra staff! It's not rocket science. She said I have perfectly good perculated coffee here, not that I drink coffee, said with a stupid high pitched giggle. Greedy, is all I can think of, cashing in on the busiest week in the year and they don't give a toss about their customers. Get out of the business. What an average hotel should be really. clean and up to date furnishings. Clean bed linen and lots of pillows. Parking right at the front of the room. Reception was friendly and efficient. We had room service breakfast which was average. 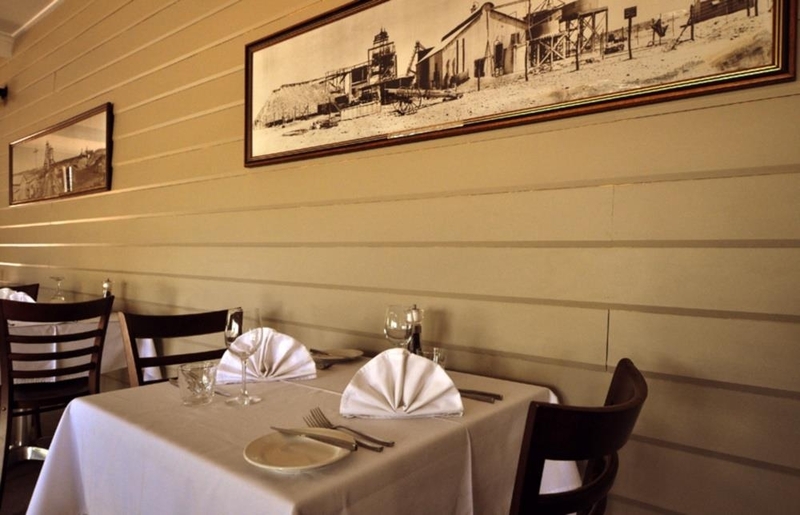 The Hospitality Inn is conveniently located on the main road into Kalgoorlie. I stayed here as a solo traveller on business. The rooms are a little dated, but clean and comfortable, efficient reverse cycle aircon is a definite plus for the cold desert nights, an extra blanket is supplied for those who feel the cold. The onsite restaurant has a good, if limited,menu, the meals are very generous size (as befits a town full of hungry miners) a little expensive. Friendly and helpful staff, very reasonable tariff and convenient location make this a good pick for Goldfields accommodation. "An overnight stay spolit by the smell of cigarette smoke in the room"
Stayed there whilst on trip from Melbourne to Perth for 2 nights. Accommodation was good and staff friendly. Room was clean and it has washing and drying facilities at no extra cost. Would recommend it as there are things to do in Kalgoorlie. My wife and I stayed here for 2 nights on our way to visit family in Perth. The exterior of the motel (and rooms) seemed fairly dated, but once inside the room was very clean and quite comfortable. It is situated on the main street, but a distance from the main part of town. Good value for money. Good location, adequate restaurant, tho bar staff need to remember why they are there! Comfy room, little dated but again decor is irrelevant in the overall scheme of things, eg,price, service, cleanliness adequate. Pleasant reception staff. Would stay again. "Clean and Friendly but a bit dated"
On the main street as you come into town, we found the staff friendly and helpful but the Motel needs an update as the decor is stuck in the eighties. We were here in June and it is very cold at that time of year, whilst the Air Con worked, it was very noisy. There is what appears a very nice pool here and I would imagine it is well used in summer. Accommodation is very clean & comfortable if a little bit dated. We were made to feel very welcome. About a good 20 minute walk into Kalgoorlie main street which was far enough away to not be annoyed by the pub revellers but close enough for a good walk or short taxi ride. I stayed overnight on a business trip and Best Western covered everything I needed. The room was spacious, the bed was very comfortable and had that lovely fresh linen smell. There were also heaps of pillows which made finding one that suited me really easy. The bathroom wasn't fancy but it was clean which is what counts as far as I am concerned (I've seen some shockers), and there were plenty of towels and toiletries. The wifi was easily accessible and the connection was quick which made my work easier. The staff were very friendly and helpful. I am coming back to Kalgoorlie in a few weeks and will be happy to stay here again. The venue is a little dated, but the staff are amazing. The restaurant is simple, but the food is absolutely delightful. Tahlia was "friggin" awesome with all our needs met with a huge smile and great personality. Just what we needed for a long weekend away. Dear Glen W It was a delight to read your review and our staff are so pleased that you appreciated their genuine customer care. Thank you for making everyone feel proud. Thank you for choosing to stay with us and we do hope to welcome you back for a future weekend getaway. Kindest regards from the management and staff at the Best Western Hospitality Inn Kalgoorlie. We stayed here for 2 nights in April. On the 16th to the 18th, everything about the room was well maintained and very comfortable. The only negative I could fault was the bathroom, which was a little out dated compared to the rest of the room. But! It was still lovely and clean. The lighting in the room was a little dull but turning the bed side lights helped a lot. A huge thank you to the staff. They very very helpful. It is also a very quite where the hotel is. "Clean & spacious for the price"
Stayed here for 3 nights - lovely clean room freshly painted - had a pool right outside our room & the weather was still ok for a few lengths before dinner. Rooms made up every morning & towels changed if required. Staff were all lovely & friendly. Even though its on a main road we never heard much noise. We had a very pleasant stay at the Best Western. We received a txt about two days before our arrival asking us to confirm our arrival time. This is a great service. On arrival we were greeted by a very pleasant receptioist. The room we received was spacious-queen bed, mini bar dining table and good size bathroom. A reasonable sized but unattented pool is located is located centrally. It has bbq facilities as well. Free wifi in the complex is great as well.Plenty of parking on site. The motel is about 2 minutes by car to central Kalgoorlie. On checkout we decided to have breakfast and this was the only disappoinment. The continental breakfast was adequate but the $19 budget bacon and egg breakfast ( no tomatoes, sausages baked beans) was way over priced. We would certainly return but wouldn't have breakfast unless there was a big improvement on choice and price. Having read the reviews we were sadly let down with this accommodation. The room was roomy & clean as well as set out. But the bed mattres was old & past it's use by date as it had two permanent hollows were people have slepted in. Windows can't be opened exterior seating is chained to wall, which makes you feel unsecure. Very nice room, clean and comfortable. Quite central, on the main street which makes it easier to go around. Was just slightly disappointed with the beaskfast which is more continental. Loved the room service. "One of the better regional places I've stayed"
We stayed for two nights at the hotel. Our room had a king size bed and a single bed. it corresponded to the photo of the hotel. Air conditioning and flat screen TV in the room available. Parking in front of the room. Small pool area but nice .very friendly staff at the front desk. I would come back! Clean, quiet and comfortable accommodation within walking (long) distance of the CBD, thus making it quiet. Local hotels & restaurants not far away as the dinning-room is only for breakfast. Car-parking outside the unit door means that you could be disturbed by late arrivals if you're a light-sleeper. Dear Jon D Thank you for choosing to stay with us Jon D - we are pleased you enjoyed the location and comfortable accommodation - but we are sorry that you missed out on dining in our on-site restaurant which is in fact open nightly and features a stunning menu - even the locals love to dine with us! We apologise we did not clearly let you know about Katherine Station Restaurant - and hope that if you are back this way, you can join us for a great meal! Thanks again and we wish you happy travels and experiences ahead. Best regards from the team at the Best Western Hospitality Inn Kalgoorlie. "Dated but quiet and comfortable"
Stayed a couple of nights. Although on main street (on left as you enter town from the west) it was nice and quiet. Furniture dated but comfortable bed and good shower. Microwave helped to cook own food and keep costs down. It has a pool, which would be handy in the hot weather, which is quite common for Kalgoorlie. I would certainly stay there again. "The service makes this place special"
Ok, bathroom is not totally up to date, the room is fresh and clean. Paint work is fine, floors clean, carpet clean, all amenities work well and is reasonably quiet. A good nights sleep on double bed, room refreshed for us the next day, we have no problems with this resort. Only thing, where is the toaster, New Years Day, no restaurant and we cannot do toast before hitting the road again. "Does. What it says on the tin!" Yes, this motel is a bit dated and the carpets could do with replacing, but it offers a good nights sleep in a comfortable bed. This is not located in a swish city but in the goldfields, and so you should expect the accommodation to match the location. All in all we were happy with our stay here, not luxury but value. "Good clean hotel good price good size rooms"
Dated hotel but clean and comfortable with modern tv.aircond works after hour flat out its located in bad position as beds not getting cool air,need to instal split systems.resteraunt is fair to good. "Rooms do not correspond to B. Western standards"
We loved the restaurant but the room was run down (see photos);even with spider webs in it. Besides being old the cleaning needs some improvement. A pity. The Best Western in Albany (same room type and price) has been great -much better. "Comfortable pillows, quite pricey meals"
very clean and comfortable room, shower hot. Restaurant had shorter hours than advertised, we opted for the room service. (Even though room service was only available for an hour 6-7) We had surf and turf, bruschetta and garlic bread. All was very tasty, but the garlic bread was $11, bruschetta was $10.50 & the surf and turf was $42.50 each. For breakfast I ordered NATURAL yoghurt, but received vanilla yoghurt, this is definitely not the same. I ordered fruit salad, because the compote had pear in it. The fruit salad was just Apple, rockmelon, honeydew and a couple of pieces of watermelon. I wasn't very happy with breakfast. Staying in a King room in this hotel means access to the most comfortable of beds. It is easily the best night's sleep I have had in a hotel. There is no road noise. The management and staff are excellent and nothing is too much trouble, opening early for breakfast or allowing us to call and order a meal just before the restaurant closes. I would thoroughly recommend this hotel. Just spent a night in a King bed room. Very clean, basic and quiet. Bathroom a tad cramped but very clean.the bed was absolutely brilliant. Could have slept all night AND next day. Best part is the friendly and helpful staff. They seem to be a big happy family. We'll be back in November. Thanks Mark and Diane. Hello Again msschooner We are delighted that you returned to stay again, and that you plan to return later this year - yes, we are a happy family and we welcome you into our home! So pleased you had a great sleep - our beds are of the highest quality - as we believe this to be essential to a great motel experience along with cleanliness and superbly friendly customer care and service. Thank you for highlighting that we are succeeding in our endeavours - see you in November! Best regards from the team at the BEST WESTERN Hospitality Inn. Stayed here one night room was old and dated could do with a fresh coat of paint and new carpet. Bathroom was old with cracks in tiles and toilet was not very clean a little disappointing but ok for a night. "Good place to stay in Kalgoorlie"
On the main road into Kalgoorlie but no road noise . Rooms were clean comfortable Good shower ,comfy bed . very pleasant staff . Laundry no cost . Air con a little noisy. Small problem with shower during stay which was fixed very quickly. Good breakfast. A little way from the town centre but unless you want to pay heaps then this is good. Average room, average service but it was clean - good work to the cleaning ladies. The grounds were clean and tidy and appeared well maintained. Lady at reception was less than average. Wouldn't return for the nightly rate charged. Hot breakfast was cooked really well. Reception didn't book us in for breakfast and then told to sit at a dirty table.